Golfing in the Lake District far from “under par”! The Lake District is now far more than the fells and the lakes. The spa revolution is firmly positioned throughout this UNESCO World Heritage Site. With jobs and lives becoming busier and busier, the need to getaway from it all with essential R&R is more important than ever. The Lake District is beautiful and now visitors can feel beautiful too, inside and out. Allofthelakedistrict.co.uk is a new website which is already a must go to resource when visiting the Lake District. Far more than just a place to find a hotel to stay in, Allofthelakedistrict.co.uk has listings and advice on where to eat, shop, what to do and an extensive Spa & Beauty section. With a healthy amount of spa facilities in hotels throughout the region, these have been renovated and refurbished offering some of the best the UK has to offer, most notably the new Brimstone Spa on the Langdale Estate. Find Lake District Spa Therapies/Experiences, Leisure Facilities including gyms, Hair & Beauty and Health & Fitness which also incorporates Pilates and Yoga. The food revolution in the Lake District sits perfectly with the spa revolution too. Healthy delis at spa, cafes serving whole foods and vegan dishes and restaurants going seasonal, light and fresh such as the Michelin Starred Forest Side. So for spa, leisure, relaxation and well being, visit Allofthelakedistrict.co.uk. Autumn into winter are always fantastic times to grab a bargain break and an excellent time for some R&R before the build up to Christmas begins. Cosy accommodation, good food and drinks and a bit of warmth is just what is required at this time of year and it is just what the Damson Dene Hotel in the Lyth Valley, within easy reach of Bowness, Windermere and Kendal are offering with their 2 night autumn deal. The vivid autumnal, Lake District landscape combined with cosy log fires and hearty, local food, it’s what this hotel is made for. But all guests staying, both leisure and business, of the food from the bar meals, to breakfast and the dinner menu in the restaurant. Cumbrian produce is the key and local producers and suppliers featuring highly in both the restaurant and bar menus as well seasonality. The area in and around the Lyth Valley is particularly famous for game so what better place for an autumn break than here. If enjoying them at the hotel isn’t enough, the landscape is just changing to delights of the autumnal colours. A short distance and there’s Bowness and Lake Windermere or the immediate environment for the pretty Lyth Valley full of rolling hills. But it’s not just about game, the Lyth Valley is also the home of damsons. Damsons are the quintessential autumn fruit pairing perfectly with game, as a chutney, desert or delicious damson gin. And there’s even more of a reason to visit this Autumn with the Damson Dene Hotel offering over 40% off with their special Two Night Stay Deal. Enjoy a 2 night Autumn break at the Damson Dene Hotel with a 3 course meal on your first evening, a full Cumbrian breakfast each morning and cream tea on arrival. Also included is full use of the guest only leisure facilities. All this from only £110 per person (extra supplement applies for weekend stays). Get there before anyone else snaffles this bargain as it only runs until November 4th 2017. Only available to book direct via http://www.damsondene.co.uk/ or 015395 68676. Ambleside is gaining popularity year on year. Of course it is obvious that it’s a popular destination. Ambleside has restaurants, bar and pubs, more outdoor shops than you can shake a stick at and lots of lovely gift shops, it even has a cinema. Despite this, Ambleside is not for everyone. With growth and popularity, this in turn makes it a very busy town. Sometimes getting away from it all really means getting away from it all. This is not to say that Ambleside should be avoided, not at all, it is well worth a couple of visits when staying in and around it. The shops really are very good and the restaurants too. Surrounding Ambleside there are some very quaint, very peaceful villages that will fulfil any real getaway from it all requirement particularly the area to the west of Ambleside. To the west you will find villages such as Hawkshead, Near and Far Sawrey. These areas have all you require for a great Lake District holiday or weekend break with a wide choice of high quality bed and breakfasts, hotels and guest houses as well as super country pubs and restaurants. All this but at a much slower, quieter pace than Ambleside. Far Sawrey and Hawkshead are delightful villages. Faw Sawrey is the home of the National Trust Hill Top property, the once home of Beatrix Potter. Hawkshead just down the road is home to the her gallery, also owned and run by the National Trust. Then what brings most visitors and guests to the Lake, District, the wonderful lakes and mountains. If staying in a bed and breakfast in Hawkshead, you can even take advantage of the nearby landing for the Hawkshead Ferry, a car ferry that takes passengers and vehicles across Lake Windermere to dock at Bowness. This is such a convenient way of getting to Bowness and Windermere eliminating the need to take the lengthy road right around the Lake. So with peace and tranquillity, yet with the hustle and bustle being not too far away, Hawkshead and the surrounding villages are a well worth looking up. Looking for somewhere to stay? 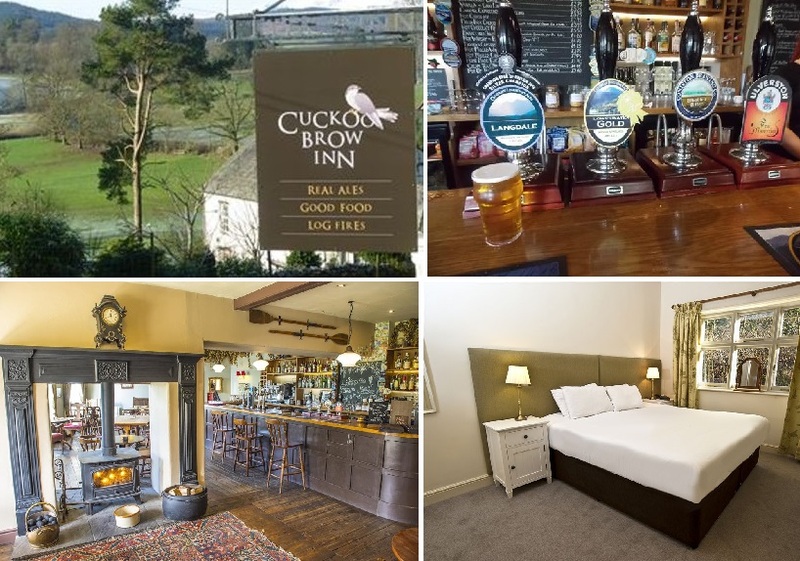 Cuckoo Brow Inn is a great choice. Food and beverages served daily along with 14 bedrooms, walker, children and dog friendly. Visit https://www.cuckoobrow.co.uk for more details. After a fantastic start to the 2017 racing season at Cartmel with three days of racing over Whit Bank Holiday weekend and into half term. The whole village and surrounding areas will be buzzing that day and into the weekend with this double bill. Jools Holland was the special guest act last year and it was a huge success, this concert is set to be even bigger. 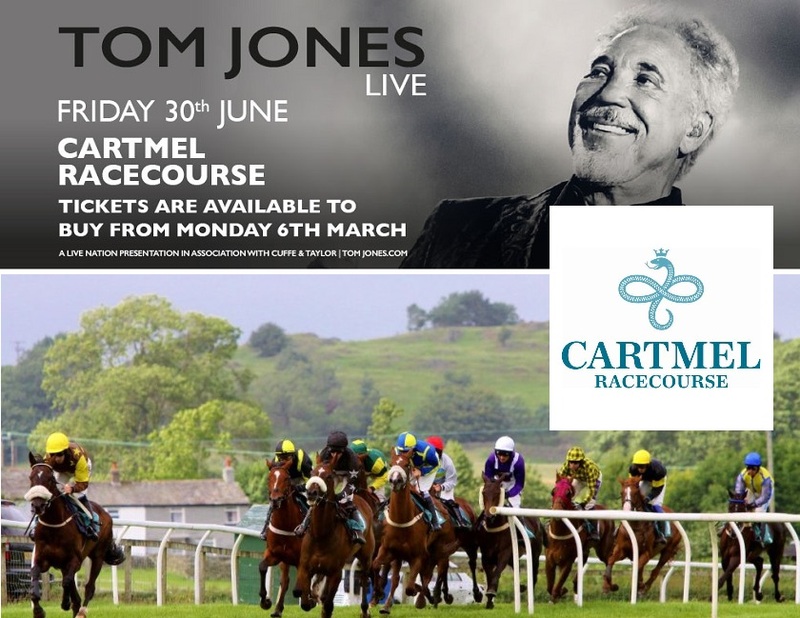 Cartmel, for fabulous food and drink whether you’re on the racecourse site for the events and racing or in the village itself. Visitors will most definitely not go hungry and be treated to some excellent local produce from any one of the caterers, cafes, pubs and restaurants. Places to stay can be found in Cartmel village as well as the surrounding villages and just 2 miles away is the Edwardian town of Grange over Sands. Easy to access from the M6 Grange and Cartmel also have train stations with Grange being just an hour and a half from Manchester by rail. Choose Grange for even more places to eat and drink and better value accommodation. Bay Villa on Main Street offers luxury, views and a great breakfasts along with stunning bathrooms to sooth any aching limbs from walking/dancing during the day/night or cheering on the horses. Visit http://www.bayvilla.net to check availability. Golf isn’t the first thing that springs to mind when the Lake District is mentioned, the lakes and fells are most definitely what people think of. Cumbria and the Lake District does however have more than its fair share of golf courses and typical of the environment and landscape in general, the golf courses are in truly stunning locations. Dotted around this county and national park are courses to suit everyone from rolling parkland courses such as Carus Green in Kendal and Windermere Golf Club, links courses like Seascale and Silloth where open qualifiers are held to fell courses such as Kendal. Each course is challenging but above all, hugely scenic, bursting with views and all of an extremely high standard. Carus Green in Kendal has seen extensive development over the last 5 years both on and off course. Improved greens and fairways along with an award winning new club house with function suites, 16 bay range and fully stocked pro shop, restaurant and bar has put this Kendal par 71 parkland course beside the River Kent firmly on the “to play” list for golfers throughout the UK. From a central base, golfers can experience the wide variety of courses on offer in the region. 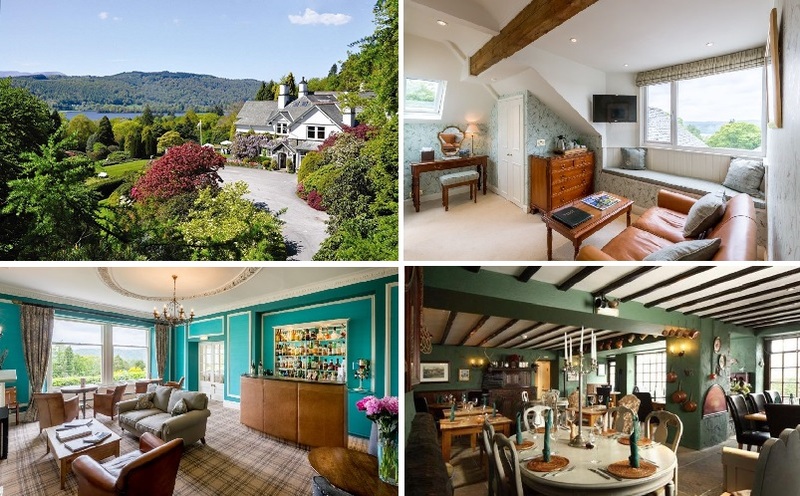 Windermere is ideal being easy to access from the motorway and having the Windermere course as well as being only 8 miles from the Kendal courses, Carus Green and Kendal. The owners of Applegarth Villa Hotel in Windermere love golf themselves and are golfers. So much so they have purchased a corporate membership for the award winning Carus Green Golf Course in Kendal. This allows guests to play this challenging 18 hole course, completely FREE! After a full round of golf, have the knowledge you’ll be going back to the luxurious surroundings of Applegarth Villa. Jump into the hot tub and refresh before heading for a pre dinner drink in the bar and delicious evening meal. Post your snap of your Langdale adventure to win a luxury adventure in Langdale this summer. Launched this week is the new competition from the Langdale Hotel & Spa and Brimstone Hotel in the Lake District. They are passionate about this region promoting it every which way they can and especially the stunning beauty of the landscape that is right on the doorstep of both hotels. 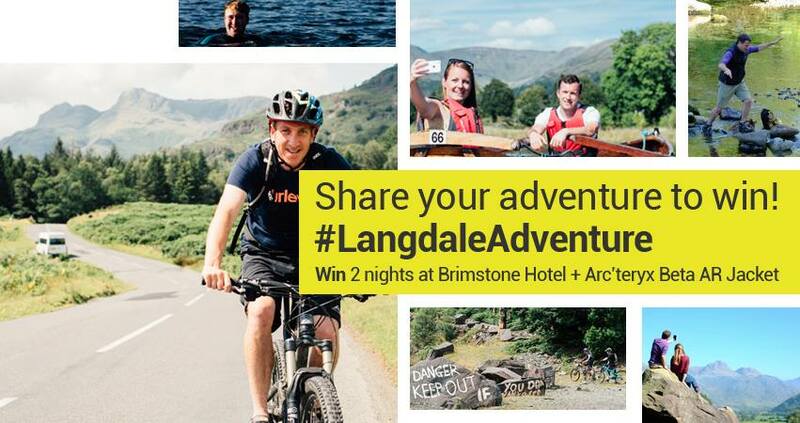 The new competition asks people to take a photo of them on their Langdale adventure, out and about, up the fells, climbing, cycling or simply enjoying the facilities at the Langdale & Brimstone Hotels. Use the hash tag #LangdaleAdventure when posting on any of the social networks, Facebook, Twitter or Instagram to be in with a chance of winning what can only be described as a monumentous prize, a two night break at the luxurious Brimstone Hotel and an Arc’teryx Beta AR Jacket. The combined prize total amounting to an incredible £1300. The competition is also a celebration of Arc’teryx, the new Bootroom partner at Brimstone Hotel. Arc’teryx is one of the leading outdoor and adventure clothing and equipment manufacturers, the perfect partnership for Langdale adventure 365 days a year. Entrants have got the rest of the spring and early summer to share their adventures with the closing date being Friday 14th July 2017. Full terms and conditions can be found here http://www.brimstonehotel.co.uk/langdaleadventure.html. Be in a beautiful bubble at the brand new Brimstone luxury spa in the Lake District. The first of its kind in the Lake District, a spa room just for two. The Bubble is one of the components of the new Brimstone Spa on the Langdale Estate. 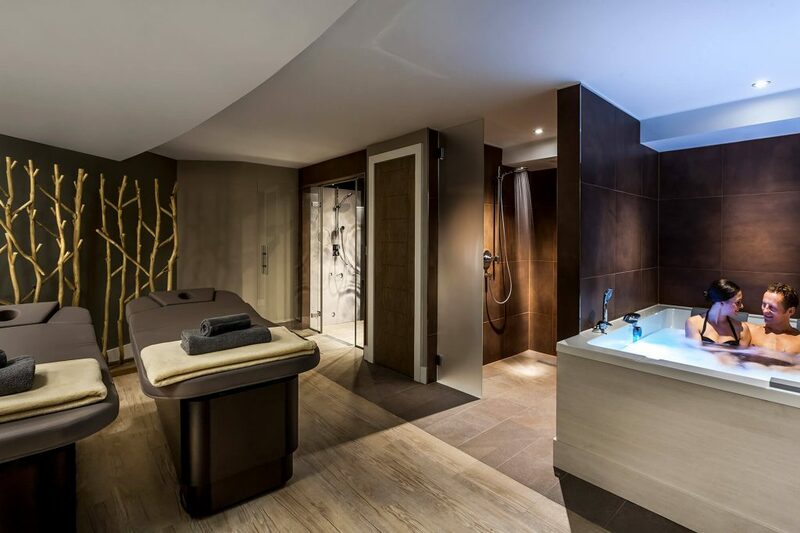 A private spa facility with a maximum capacity of two people. Within it enjoy exclusive Pure Alchemy treatments in complete privacy and relaxation. Choose the treatments to enjoy, the both of you at the same time, on duel treatments beds. Also to experience in The Bubble, a feature shower, spa bath and My Spa Heaven cabin made for two where guests can be rejuvenated via a range of heat and steam experiences. The choice of massage treatments is very different to any found at other spas in the Lake District. Firstly the Hammam Mizzle Massage meaning damp and misty – a full body massage with gentle body exfoliation in conjunction with heat and steam. The Ghassala Cocoon meaning to wash – A head and scalp massage using volcanic clay with essential oils and pure salt offering purification or how about Venik – Stimulating and desquamating body treatment with oils and locally sourced Birch twigs. The Bubble is for those who seek absolute privacy and what an amazing experience for a special occasion especially that of a honeymoon. Mix and match your treatments thanks to the way The Bubble works where 90 minutes of treatments are included per 3 hour booking per person. Choose to enjoy for 3 hours or 7 hours for £250 per couple and £450 per couple respectively. Visit http://www.brimstonehotel.co.uk/bubble-private-spa.html for more details or call 015394 38062. The Lake District is fast becoming the home of the boutique B&B and hotel in the UK. New places to stay are opening and established businesses are updating, upgrading and most definitely making this region the go to destination for bespoke, luxury weekend breaks. With an increase in facilities, improved footpaths, cycle routes, ferries and alternative forms of transport like the funky new fleet of Twizy electric cars to hire, Windermere and the Lake District is becoming more accessible, more enticing and easier and more fun to explore once here. As B&B’s and hotels update and create even more impressive rooms and suites (some guests often find hard to leave! ), so has the food available. Cumbria and the Lake District has always had the fine produce and artisan suppliers required for high quality food but there are now the chefs to cook it and most definitely the guests and diners to enjoy it. Dining out in Windermere is a delight with such a choice of places to eat from excellent gastro pubs to vegetarian, authentic Italian, fine dining and fish. At a typical boutique bed & breakfast in Windermere expect to find some of the highest quality bacon and sausage, the finest local smoked fish with everything homemade as when staying at a B&B, breakfast is most definitely the most important meal of the day. The award winning Brooklands Hotel in Weybridge, Surrey has now got another high profile fan, British Airways. The 4 star Brooklands Hotel located on the site of the iconic race circuit has be tipped as one the top 6 coolest hotels for business travellers. The Club is BA’s digital travel magazine for members of the British Airways Executive Club published monthly and giving readers and members travel news, tips and how to travel smarter. Brooklands Hotel was the pick for the UK with the other recommended hotels located in San Francisco, New York, Boston, Singapore and Malaga. Described as being situated in “London (almost)” the team at Brooklands have been leading the way in business travel in the area since the hotel first opened its doors in 2010. Its location has proved ideal for both national and international business travellers, conferences and meetings due it its location being just 17 miles from Heathrow and just minutes from the M25. The train station at Weybridge means just a 30 minute journey to or from the capital. The rooms are clean and modern yet ultra stylish and many with views of the Mercedes-Benz test track. The interior design throughout the hotel oozes glamour and luxury. The 1907 Restaurant regularly wins awards and has a 2 AA rosette rating and the bar & lounge are ideal for casual meetings, afternoon tea, a cocktail or coffee. You really can mix business with pleasure at this luxury hotel in Surrey, the Brooklands Hotel. Cumbria, the Lake District is arguably the ultimate location for love. Wordsworth and many more poets and artists agreed and so do the many thousands of couples who can’t wait to experience the romance, the fresh air and landscape this region has to offer. So Valentine’s weekend is always an extremely busy time of the year for the romantic capital of the UK. Bookings have been in place for a whole year for some places with couples wanting to make sure they will be staying in the perfect place on the most romantic weekend of the year. With the fells behind and the coast in front, Grange over Sands has it all for long leisurely walks just the two of you. Nearby Cartmel is a must visit for its lovely shops, and lots of fab places for lunch. Drive, cycle, walk or take the train to Cartmel. In the evening Grange has a choice of restaurants serving some of the famous food available in this part of Cumbria. Now it’s just about finding somewhere to stay and our top pick is Bay Villa, a luxury bed and breakfast on Main Street. All restaurants and amenities can be walked to yet there are views across Morecambe Bay and beyond. But it is inside this very special 3 room B&B that is the real gem and one that is made for a romantic Valentine’s weekend away. Large rooms, luxury bathrooms, even baths with views, breakfast served in the room and complete relaxation and uninterruption. Visit http://www.bayvilla.net for booking details and to view their restaurant recommendations. A first of its kind at Brimstone Hotel in the Langdale Valley, a luxury yoga retreat break. Led by The Well Connected, a wellbeing company based in the Lake District they know how stimulating yet relaxing the Lake District. What a perfect marriage it then is that this first of 2016 retreat is to be held at Brimstone Hotel on the Langdale Estate. Brimstone has been designed with relaxation at its core where all materials are natural and where guests come from far and wide to experience escapism, wellness and to enjoy the stunning Lake District landscape on the doorstep. With stunning bathrooms, private balconies, room service and various places to relax, each Brimstone suite will be the perfect place to return after each session and in the evening. What makes this retreat even more special is that every level of yoga will be catered for so it doesn’t matter if you’re a beginner or experienced yogi, each person will be nourished and fulfilled. Charlie Morgan programme leader is well known in the yoga industry and it is set to be a very memorable retreat for those attending. The exclusive retreat is a fully inclusive break with both food, snacks and beverages of the healthiest and most nourishing kind by the 2 AA Rosettes chefs at the Brimstone Hotel. There will be no refined sugar, caffeine or alcohol and the meals have been created so that those attending enjoy and make the most of this highly relaxing, mindful and luxurious yoga break. The team at Brimstone are highly excited to have the retreat exclusively based at the hotel and all guests will have the use of the Berghaus Bootroom for the hire of outdoor walking kit during the retreat. To find out more and book a place on The Well Connected yoga retreat visit http://www.brimstonehotel.co.uk. Romantic, peaceful, tranquil, luxury are all the terms associated with a honeymoon or mini moon. It is time to spend absolute quality and uninterrupted time with your new husband or wife. So why do so many newlyweds decide to honeymoon miles to the other side of the world to experience often fraught airports and lengthy travel times? Surely romantic, peaceful, tranquil and luxury describe somewhere much closer to home, the Lake District. But don’t just take my word for it. Perhaps a certain Mr Wordsworth, Mr Coleridge and Mr Southey could help certify the Lake District as romantic? Wordsworth Daffodils was sighted as the defining moment of early English Romanticism and these poets can describe the Lake District better than anyone. 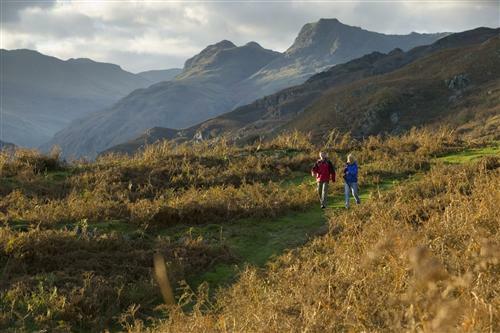 The Lake District has long been popular with families and groups of walkers and outdoor enthusiasts but it is also now becoming quite the place for a couples retreat. Luxury retreats come in various forms of accommodation but the ultimate for couples really has to be a luxury self catering retreat. This needn’t mean remoteness, although such holiday properties do exist if you so wish, no this means undisturbed time when in the property. Combine quite simply stunning properties in stunning locations with the quality of food found in restaurants across the region. All that and the biggest pull to this area has been missed, the scenery! All this combined is surely honeymoon perfection? Coniston, Ullswater and Cartmel are three idyllic areas that have all the right ingredients to make the ultimate honeymoon in the Lake District. Each provide breathtaking scenery, each have some of the best examples of self catering cottages and homes in the UK and each have a choice of show stopping places to eat. Cartmel is home to The Good Food Guide number one restaurant, L’Enclume and Ullswater is home to the much revered Sharrow Bay. Using the knowledge of a holiday cottage agency will ensure you find the perfect property for the perfect honeymoon. The Lakeland Cottage Company have a superb choice of honeymoon and romantic holidays cottages in the Lake District and have extensive experience in offering romantic retreats for special occasions.